Located on the shores of Lake Dunmore and beneath the slopes of Mt. Moosalamoo, our location is ideal for swimming, boating, hiking, and exploring the natural world. Keewaydin has a wonderful variety of activities, taught by a well trained staff. 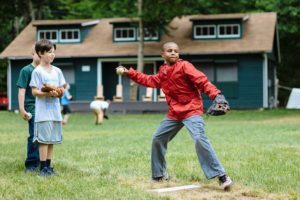 The “coup system” encourages campers to not only choose what activity they would like to do on any given day, but also teaches them to set goals, plan ahead and be responsible. Activities are designed to be just as much about having fun as they are about learning new skills. At the heart of Keewaydin’s philosophy towards activities is the “coup system” and the idea of “planned freedom.” It is possible to earn several coups in any activity. If a camper earns a certain number of coups in a variety of different activities, he wins a “Coup K,” a special felt “K” with the Keewaydin moose emblem on it. The purpose of the coup system is two-fold. First, it encourages campers to plan their summer so they have a well-rounded experience. Second, it provides challenge to campers: Earning a coup represents commitment and mastery of skills and knowledge. We believe that the coup system and the philosophy of planned freedom not only provide a healthy challenge for boys, but also help them become more responsible, self-confident and independent. Keewaydin’s canoeing expertise is unparalleled. The camp owns more than 100 canoes, one of the largest fleets in North America! Passing the canoe tip-over test and swim test earns campers use of boats and canoes. Instruction on proper paddling is offered before extended canoe trips. Keewaydin also offers instruction in kayaking, sailing, paddle boarding, and windsurfing! Keewaydin Dunmore’s location at the base of Mt. Moosalamoo means hiking is in our backyard. There are 26 Keewaydin hiking trails on Mt. Moosalamoo for campers to traverse. Exploring lookouts, caves, and swimming holes is an everyday activity option. Our trails also connect to the U.S. Forest Service’s extensive network of nearby trails. A deep reverence for nature is a way of life at Keewaydin. 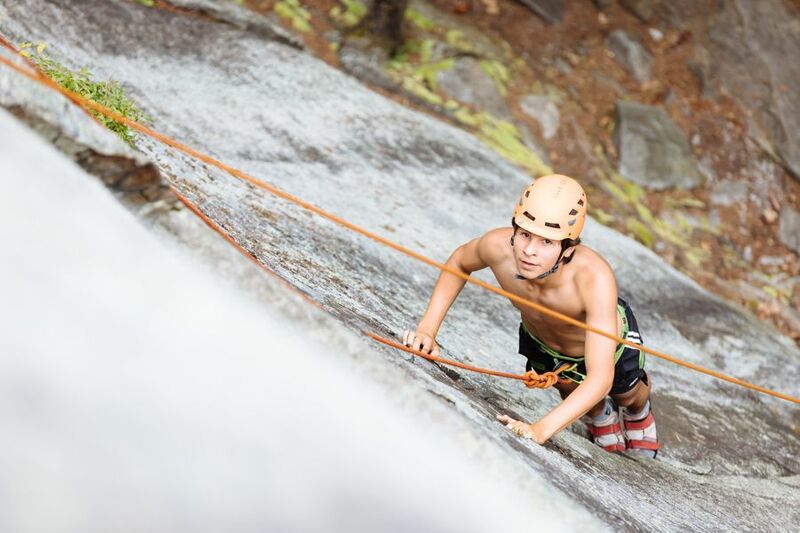 Activities such as Exploration, Hiking and Rock Climbing give campers the opportunity to develop knowledge of the natural world and build wilderness skills. With two spacious fields, four well-groomed clay tennis courts and two basketball courts, Keewaydin campers can enjoy sports to their hearts’ delight! Sports such as baseball, soccer, tennis, basketball, and ultimate frisbee are popular and are led by experienced staff. We also have great facilities and staff instruction in archery, riflery, wrestling and disc golf! Keewaydin would not be the same without its Dramatics program! Campers and staff all play a role in producing the all-camp show, the Friday Frolics. From costumes and make-up, to lighting and scripts everyone is a part of making Keewaydin’s Little Theater come alive. Each camper also has the opportunity to participate in Arts & Crafts where he can design a wide range of projects, especially those involving woodworking. Evening activities are among the most fun and memorable times at camp! And why not? Who doesn’t love a big game of capture the flag or navy seals, or a campfire with games, stories and songs, or the Friday Night Frolics skit night? There is an organized activity each night, sometimes by wigwam, sometimes with the entire camp. Camp is a warm, nurturing and happy place with a balance of structure and free time. Boys live in groups of four with one staffman (counselor) in tents. Here is what a typical Keewaydin day looks like! The day begins with the sound of the “gong,” a large railroad tie serving as the camp alarm clock. Dips in the lake are offered before breakfast at 8:00a.m. After breakfast, it’s off to formation (flag raising) and then back to tents and cabins to straighten up (“inspection”). After inspection, campers get to choose their activity for the morning from among six to ten choices. When activity period is over, we offer an hour of free time before lunch. During this period we always offer “free swim,” a time when boys can frolic in the swim area under the careful supervision of our lifeguards. Most boys swim at every opportunity in the clear waters of Lake Dunmore! Lunch is served at 12:30 and followed by “rest hour.” After rest hour, campers choose another activity for the afternoon. Once again, at the end of activity period there is an hour of free time before dinner, when campers can join free swim or pursue other interests. Dinner is served at 6:00 p.m. After dinner we frequently sing camp songs in the dining hall before heading out for evening formation (flag lowering). Boys then enjoy a bit of free time before heading to an organized evening activity for each individual wigwam or the entire camp. Staffmen wind down the evening by reading to the boys in their tent. The “good night song” and lights out occur at approximately 9:15 to 9:30 p.m. 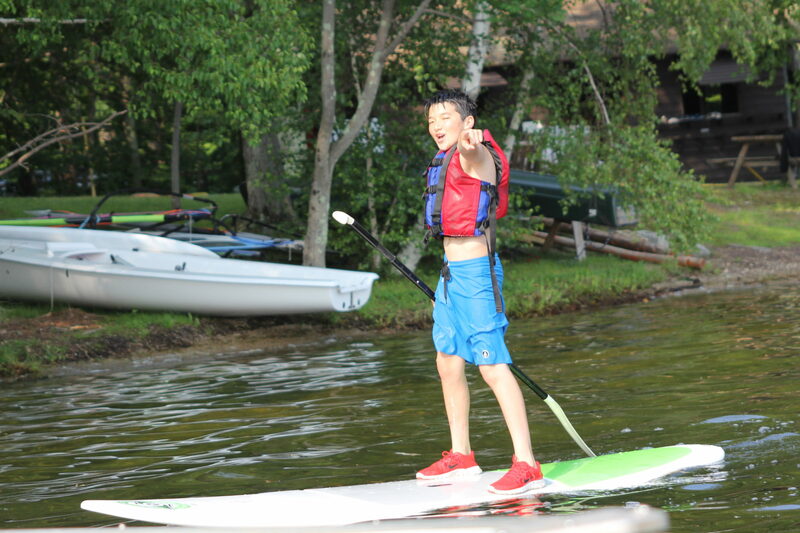 In addition to the many great activities, we structure plenty of supervised free-time into each day so that kids can relax and “be a boy”: playing “Can Jam,” swimming in Lake Dunmore, practicing juggling, checking up on the terrarium in the Bug House, fishing off the dock, shooting “hoops,” or simply reading a book! Every camper at Keewaydin gets to take a camping trip each month, either canoeing or hiking, depending on his interest and skills. The youngest boys go on trips that last two to four days, primarily in Vermont State Parks and the Green Mountain National Forest. The middle age groups go on trips ranging from three to seven days in the Adirondacks of New York and the lakes and rivers in New Hampshire and Maine. Moosalamoo, the wigwam for the oldest boys, is known as the “tripping wigwam.” “Moos” trips, typically ten days in length, travel in rugged territories of northern New England and remote rivers of Quebec, Canada. The most experienced campers go on a seventeen day canoe trip in the Verendrye Wildlife Preserve in Quebec. Campers leave Dunmore excited by the challenges ahead–canoes to paddle, tents to pitch, fires to build, meals to cook–and, despite wind, rain, or whatever else nature offers, they meet these challenges with their own hands and minds. The joy and pride on their faces when they return from their trip is partly from days of fun and adventure, but also from internal growth and maturation gained from the challenges of life on trip. 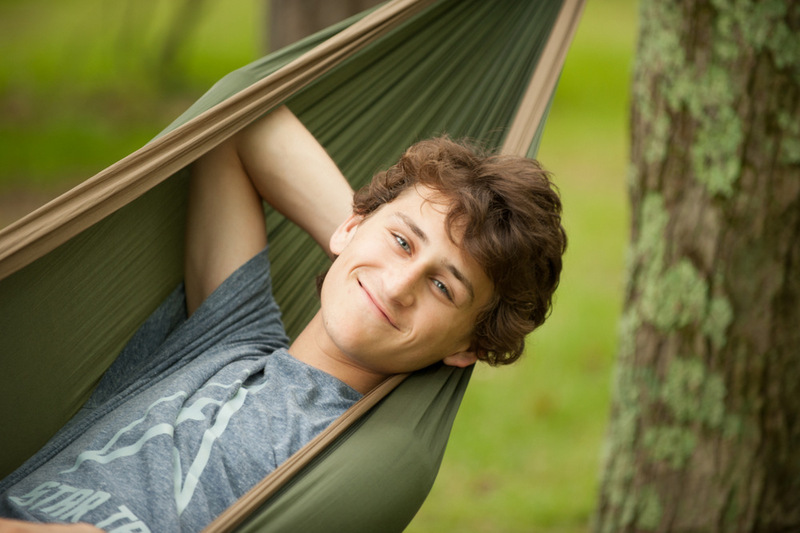 While the entire experience of going away to camp engenders self-confidence, it is on these extended camping trips that boys gain a special sense of strength. Above all, they learn to be more independent and self-reliant, on the one hand, and interdependent or group-oriented, on the other. The camp’s motto of “Help the Other Fellow” is never more evident than on trip. Boys aged sixteen and seventeen are eligible for Keewaydin’s Wilderness Trip Program. 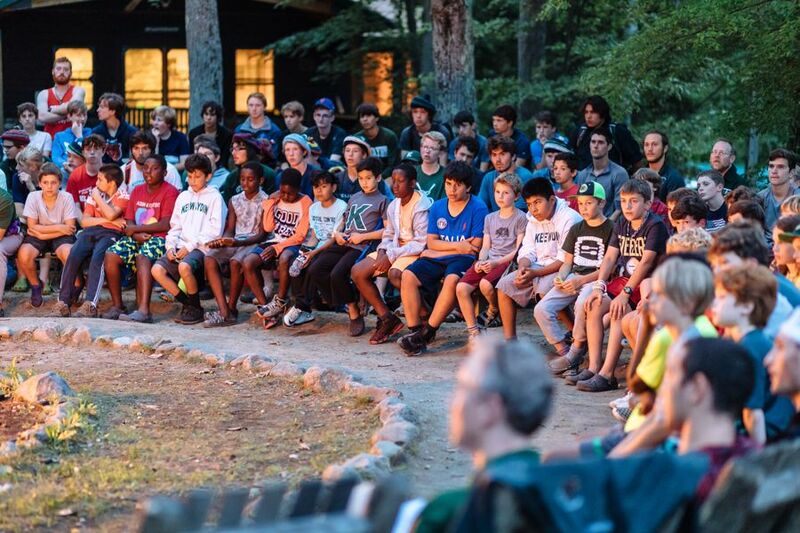 In this program, boys come to camp for three days of trip preparation and training and then head north to Quebec, Canada for a four-week adventure in native Cree territory. Most of the trip takes place on rivers where campers have the opportunity to expand upon their whitewater skills. On these trips boys experience a unique expedition lifestyle and often visit First Nation settlements. The Wilderness Trip also has a leadership development component. Campers may stay at camp upon their return for two days to work with the younger campers under the direction of a wigwam director. Combining this training component with their canoe tripping experience leads many wilderness trippers to become valued staff steeped in the ways of Keewaydin camping which they pass down to the next generation of campers. Our food service works with us to ensure fresh, healthy meals. Breakfast always includes hot cereal, cold cereal, fruit and yogurt bar, and a main meal such as scrambled eggs, pancakes or French toast. Lunchtime favorites include chicken patties, tacos, deli sandwiches and grilled cheese sandwiches. Dinners feature dishes such as roast chicken, chili, roast beef, spaghetti, pizza and pulled pork. Each meal includes a vegetarian option, such as meatless lasagna, stir-fry, tofu, garden burgers, veggie wraps and legumes. Every Thursday night we have a cookout with hamburgers and hot dogs. There is an extensive salad bar at lunch and dinner each day, as well as fresh local vegetables and fruit daily. Nearly all of our salad bar vegetables come from a local organic farm, located just fifteen minutes from camp! Furthermore, we have a garden on the Songadeewin campus and, as produce ripens throughout the summer, it is integrated into the menu choices at both the boys’ and girls’ camps. There are many special events throughout the summer which offer a change from the typical camp routine. 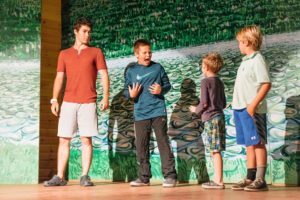 Returning campers, in particular, look forward to traditions such as the Fourth of July Cookout, the Carnival, the Old-Timer’s Day, the end-of-summer Banquet and the Candlelight Ceremony.